During the year of 2006 Odisea acted as the general contractor on the largest bale structure at the time in North America. Located above the Roaring Fork Valley near scenic Carbondale, Colorado, this project included a central, interior horse arena with storage and boarding facilities. It also included an attached caretaker’s residence that was completely finished with gorgeous views of Mt. Sopris and the Elk Range. The interior arena walls were approximately 20 feet tall and consisted of three-string bales laid on-edge. Mid-height box-beams were used to add stability during construction. 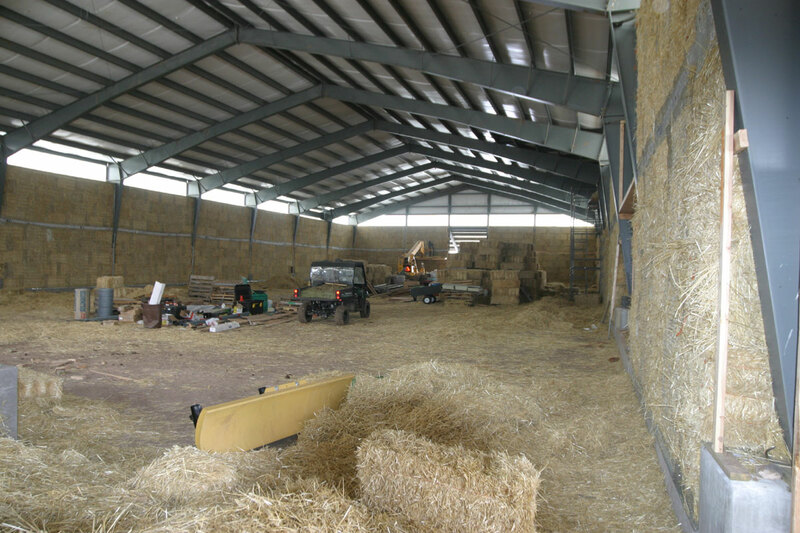 An outer wall was constructed also from straw bales, which created interior storage space and boarding stalls for horses. 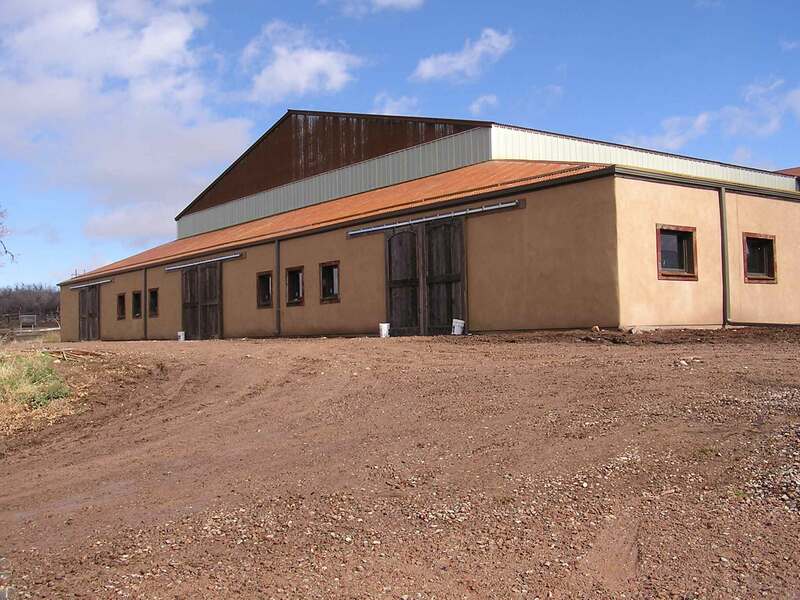 A tack room, bathroom, office and more storage were built under the attached residence. The residence itself is approximately 2,000 sf and includes a viewing room overlooking the arena. 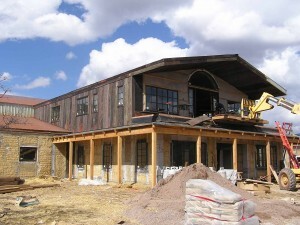 The Caretakers Residence during construction. The main structure is a pre-engineered metal building that was constructed by others prior to Odisea’s arrival. Construction began in January of 2006 and commenced in October of the same year. The finished project in the fall of 2006.